It’s been a long time since I posted anything on here, and I thought the new Intel IoT release would be a great idea to create a instructable. So – What is IoT? IoT stands for “Internet of Things” which is a development of the “Internet” where it is planned for every device to have network connectivity thus allowing them to send and receive data. This could be a device such as your fridge and it has the ability to save a shopping list to google drive every week or could be a child tracking device in a shoe or accessory to help parents keep control of their kids in shopping centres etc. “The Internet of Things (IoT) is a computing concept that describes a future where everyday physical objects will be connected to the Internet and be able to identify themselves to other devices. The term is closely identified with RFID as the method of communication, although it also may include other sensor technologies, wireless technologies or QR codes. What is Intel doing to get in on this? Intel have released a Intel IoT Developer kit that you can get to help developers and techies to get their hands on a simple piece of kit and start developing applications for use in the everyday world. A while back I applied to get my hands on one of these kits, it was a random selection of what you got. The Galileo is an all in one board, similar to the Raspberry Pi. It has a ethernet port and several output pins so you can program it to do certain functions. The Edison is the more interesting one (in my opinion). It is a tiny little chip that contains all the important bits, such as the CPU and RAM. The idea behind this is that the computing power that is provided (2 cores, 1GB ram) is useful for a lot of applications and can easily run most projects in a realistic time and environment. The chip is about the size of a SD card, you could easily fit that into a dog collar, shoe or even a watch! The Edison comes with an arduino breakout board that allows you to plug in modules and sensors, just like an arduino and expand the devices capabilities. 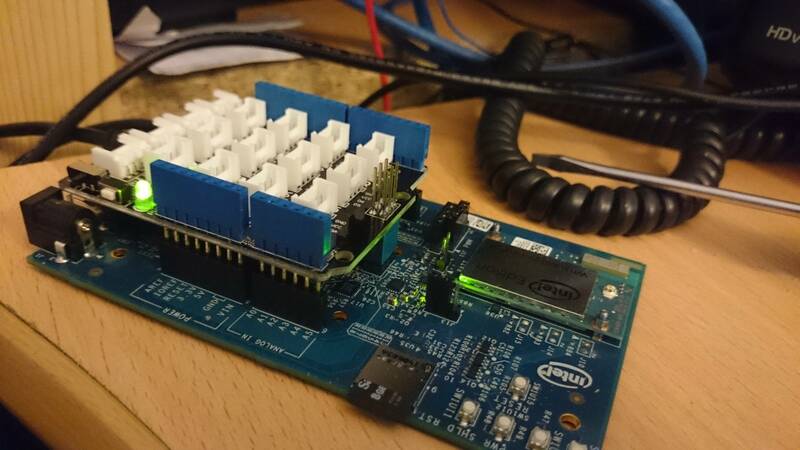 I’m assuming you have the Intel Edison and Arduino breakout board for this instructable. 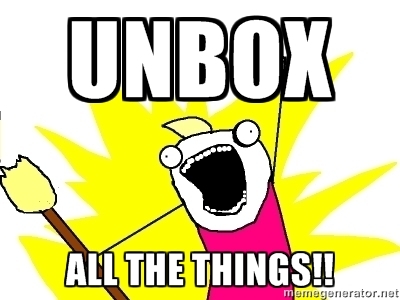 you should have all of the things I mentioned earlier, if not you should have some similar items to tinker with. You won’t need to connect your board to wifi for this guide, but I suggest you do for future projects and tinkering. Once set up and hopefully working you will need to add the Base shield to the board in order to be able to add the sensors to the edison. It should be pretty easy to connect the cables up to the Edison, Connect the temp sensor to the port labelled A0 and the LCD to the I2C on the left hand side of the board. I would also suggest that you do this when the board is off. Once connected you’re almost good to go! 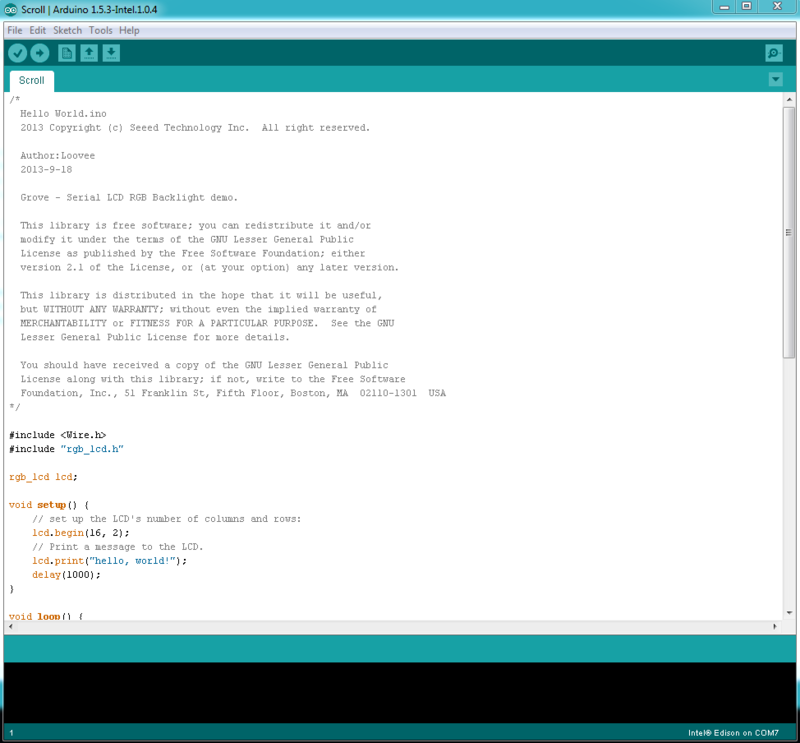 You will need to download the arduino ide from here if you haven’t got it already, when it has finished downloading just extract it to your desktop. you will want to extract this to a folder within the arduino ide folder from earlier, it doesn’t affect the way it works, it just stops files from spreading everywhere. The contents in your window will look a little different, my screenshot is only like this because I have one of the demo scripts open. 3. 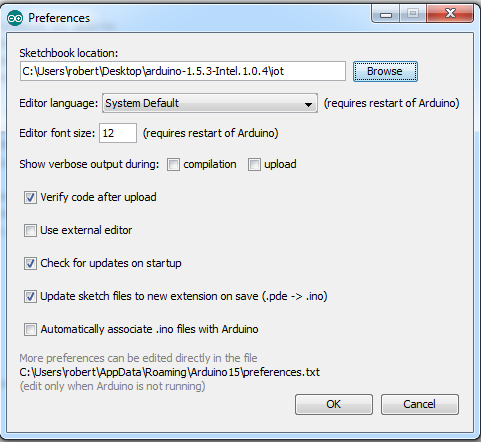 Change the sketchbook location to where you put the extracted zip / github clone within the arduino ide. Where my username is robert, just change it to your username, or browse to the file path where you saved them. This just helps you to get your head round the code that is put together to run applications on the Edison. Go to tools, then click on board, check that Intel Edison is checked. Start, type devicemgr.msc then click the little arrow next to COM ports, and look what the Edison Board is listed as. Once done you can go to file, New and you will be all ready to go! Now you have the Edison board set up and talking to the arduino IDE it is time to add the code. anything with a “//” next to is is a comment, this just makes it easier to read and work out what other people have done. It is always a good idea to comment your code. This is to let the board know what pins to look on for the temperature sensor, in my case I connected it to A0. You could choose A0,A1,A2 and A3 for this. This, as mentioned in the comment sets the screen size, so when we print out data to it we don’t go off the edge. This is the final loop of code, as mentioned in the comments it reads the value of the sensor, gets the resistance of the sensor, calculates the correct temperature then prints it onto the screen. Time to send it to the board. Just click the little right facing arrow at the top of the IDE and it will send the code across. This is the end of my first ‘ible for a long, long time. I hope you all enjoyed reading through it and learning your way around the Intel Edison and the Arduino boards, There are a lot of things you can do with these kits, I made this in one afternoon!